Posted on July 17, 2017 at 5:57 am. New Jersey’s online poker industry has performed poorly this month, with reports revealing a staggering decline in revenue. The New Jersey Division of Gaming Enforcement (DGE) releases online casino and poker revenues every month but the findings for June are bleak. The figures released on Wednesday, reveal online poker has recorded its worst revenue income in a month since the industry was regulated in 2013. The figures released reveal the New Jersey online poker industry generated $1.74 million in revenue for the month of June. The last time it was close to being this low was in June 2015, when the DGE reported the poker industry recorded $1.84 million in revenue. While this was before PokerStars had entered the market, the highest ever online poker revenue recorded was $3.4 million in January 2014. The numbers come as thousands of professional poker players who regularly play at PokerStars are in Las Vegas for the World Series of Poker (WSOP) tournament. Whether this has impacted the revenue has not been made clear. But online casino revenue has alleviated the dismal figures, with the online gambling market recording a revenue income of over $20 million. The Golden Nugget’s online casino site earned just under $5.6 million in June which is $2.1 million more than the site earned in the same month last year. However, it did do better in May 2017, recording a revenue haul of $5.9 million. Borgata, which offers both online casino games and Internet poker, bounced back from the terrible figures recorded two months ago, earning just under $3.9 million in June. 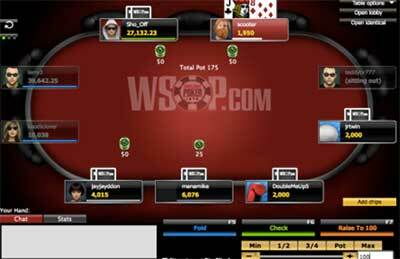 Just $586,000 came from online poker. Resorts Digital Gaming, which operators PokerStars New Jersey, recorded just under $3.7 million in revenue, putting the company in third place. Only $679,000 came from online poker. Caesars online casinos came in fourth, recording $3.6 million in total revenue. The poor performed is due to a 20 percent decline in online poker revenue – likely put down to the fact the online gambling company sends WSOP players to Vegas for the live tournament. Tropicana did the worst of all, recording $3.5 million in revenue. It’s a significant drop from the recorded $4 million in revenue in May 2017. Nevertheless, the state has maintained its $20 million online gambling revenue streak which commenced in March 2017. More than 7200 players registered for this year’s WSOP Main Event held at the Rio All-Suites Hotel and Casino in Las Vegas. The huge turnout marks the third biggest attendance in the tournament’s history. The biggest turnout ever was in 2006 when more than 8000 players registered to compete in the live tournament. At the time of writing, just 30 remain in the $10,000 buy-in No-Limit Hold-Em event with US’s Joshua Marvin eliminated in 31st place. He pocketed $214,913 as a result. The field will play for 11 hours or until 18 players are left. The 18 will return to play on Monday until the final table of nine is determined. The final table play will take place on Thursday until a winner is crowned. It is the first year since 2008 that a winner will be determined in July instead of later on in the year via the November Nine event.